Brr it’s a little bit cold outside! Cuddled up with the candles lit and a oversized jumper…perfect and of course the fact its Friday!! Whats everyone's plans for the weekend? Im going to the cinema tonight to watch Gone Girl, iv also just bought the book for it. Tomorrow it may be a Frankie & Bennys Breakfast day, if you haven’t had one you need to! They are so yummy and all breakfasts are £5 whether its pancakes or a fry up. In the photo this foundation does look a little darker which it says compared to the others because I use this one when I have fake tanned or if im on a night out. It is more of a mousse than a liquid. It comes with a small round sponge which is perfect for applying. I found applying this with a brush didn’t work but with the sponge it applied evenly and gave full coverage. It isn’t heavy on the skin which is a surprise. The size of the pot looks small but you do get a lot of product. You can get lighter shades if you wanted to use this during the day. If you want a foundation that’s great for nights out and lasts all night then this it it. Skin Type: I have an oily base and this works so well. I woudnt recommend this for dry skin types as It will cling to dry areas. This is a recent buy over the past few weeks. I heard so many good things about it. 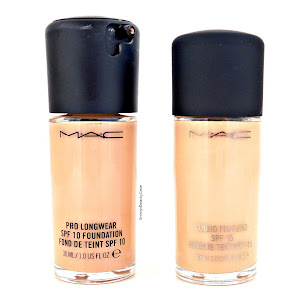 It looks quite a thick liquid but its not at all and applies nicely and evenly to the skin. Id say it is kind of full coverage but iv found other foundations that are better coverage. I don’t find this foundation lasts all day like some of my others and goes a little patchy which iv never had before. The biggest downfall is that there is no pump…I hate trying to get product out and find I waste too much. I do think you can buy pumps that fit these. Skin Type: Revlon actually do one for oily skin and one for combination skin types. Iv had this foundation a long time now. Sand is the second lightest shade which usually other brands “sand” is a darker shade. This does have a pump…yay and is a glass bottle. It is a semi-matte finish but I find it doesn’t look matte on me so always apply powder. It is very light weight and perfect for a daytime look. If my skin is quite clear I will use this but if I have any breakouts I find I need more coverage so this isn’t best. Lasts well, just need to apply powder once during the day. Skin Type: Oily/dry. I think it would work well with all skin types. As you can see this is a slightly thicker foundation. This is one of my favourite products to use, it is full coverage and helps with my oily skin. I do apply with a round ended makeup brush or if you want a little extra coverage then apply with your finger tips. I find this works so well with Rimmels Stay Matte Primer too! Lasts all day! Skin Type: Oily skin. Not for dry skin as it will cling to dry areas and dry your skin out more. 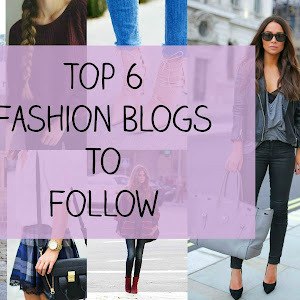 If you read my blog you would of seen this in my “Brand of the Week” post a while ago. I have to say this is just amazing. It is definitely full coverage but isn’t heavy, doesn’t look cakey and looks natural. Its lightweight and the colours are great matches. The bottle it self I love, it twists at the top so you can lock and unlock the pump. This is better than the Revlon Colorstay and is cheaper!!! Skin Type: Amazing for oily skin as it is oil free but I think it would also work for dry skin types. 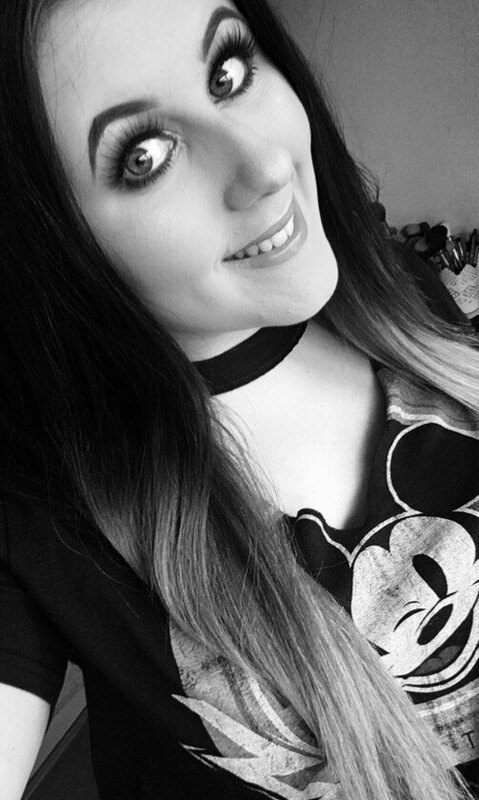 I'd love to try the ELF foundation but I'm scared of trying to colour match! Great post! 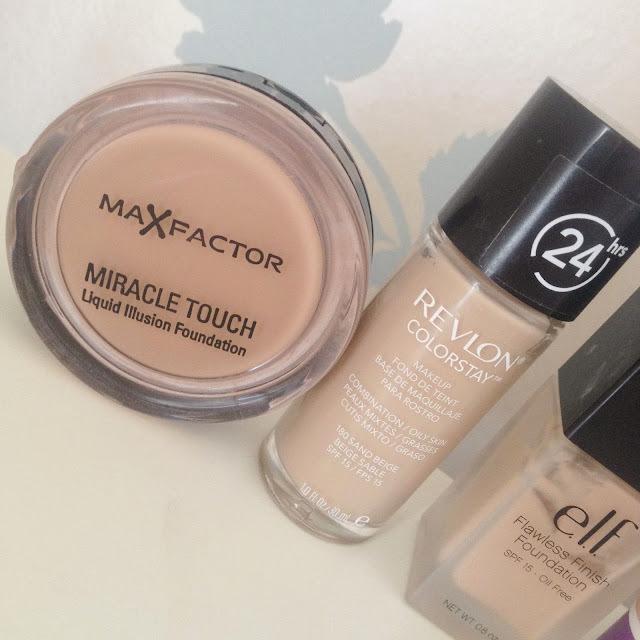 I have the Revlon foundation too and I hate the fact that it doesn't have a pump! I've been meaning to get the Rimmel one for a while now. I really want to try it out mainly because of it's consistency. 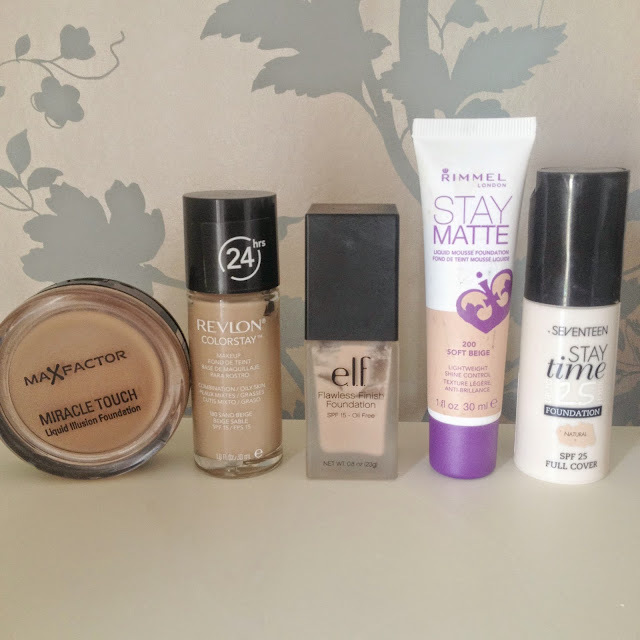 Really useful post, I'm searching for a new foundation so this is really helpful! Great post! I'm currently using Clinique foundation which is light coverage. I am still looking for the perfect foundation. Great review. Keep up the good work. 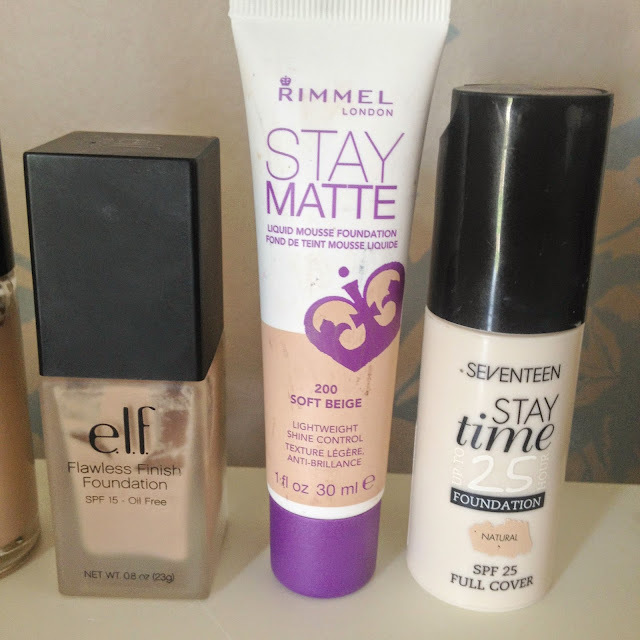 I love seventeen products, but am yet to try their foundation, Ill have to buy it next time im in boots!